* Consolidation of IPv6 — now only a single build supports both IPv4 & IPv6, and removal of the IPv4 “only” code paths. * Added an API call to add a service to a host in the attribute table. Remove the unused live attribute update code. * Update to Stream5 PAF for handling gaps in the sequence numbers of packets being reassembled. * Changed logic of option evaluations for shared library rules that use a custom evaluation function to match that of the builtin logic when the NOT_FLAG is used. The ‘NOT’ matching now happens within each of the individual rule option evaluation functions. * Updated SMTP preprocessor to better handle commands that have corresponding data on a subsequent line to reduce false positives. 3 commands fall into this category – X-EXPS, XEXCH50, and BDAT. * Improve support for encapsulated & tunneling protocols to block or fastpath a connection within the tunnel rather applying that to the whole tunnel. 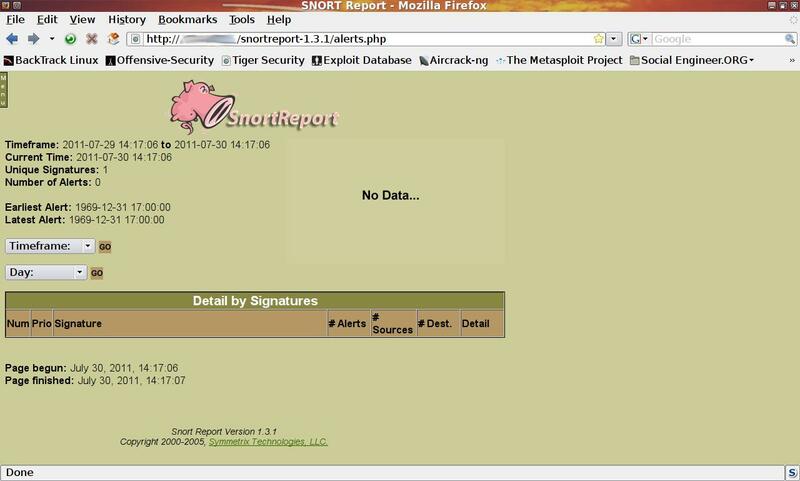 Snort is an open source network intrusion prevention and detection system (IDS/IPS) developed by Sourcefire. Combining the benefits of signature, protocol, and anomaly-based inspection, Snort is the most widely deployed IDS/IPS technology worldwide. Snort can perform protocol analysis and content searching/matching. It can be used to detect a variety of attacks and probes, such as buffer overflows, stealth port scans, CGI attacks, SMB probes, OS fingerprinting attempts, and much more. It uses a flexible rules language to describe traffic that it should collect or pass, as well as a detection engine that utilizes a modular plug-in architecture. Snort has a real-time alerting capability as well, incorporating alerting mechanisms for syslog, a user specified file, a UNIX socket, or WinPopup messages to Windows clients. Snort has three primary uses: a straight packet sniffer like tcpdump, a packet logger, or a full network intrusion prevention system.